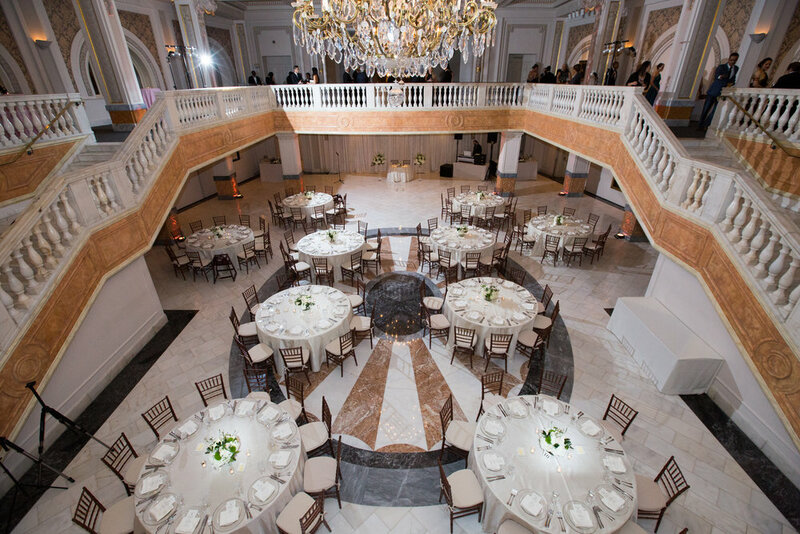 As you'll be able to tell from the epic dancing photos at the end of this post, Ashley and Sascha's wedding at the National Museum of Women in the Arts in Washington, DC was such a fun one! Not only did their guests seriously take advantage of the dancing portion of the evening, this formal, black tie, winter wedding was full of unexpected surprises. 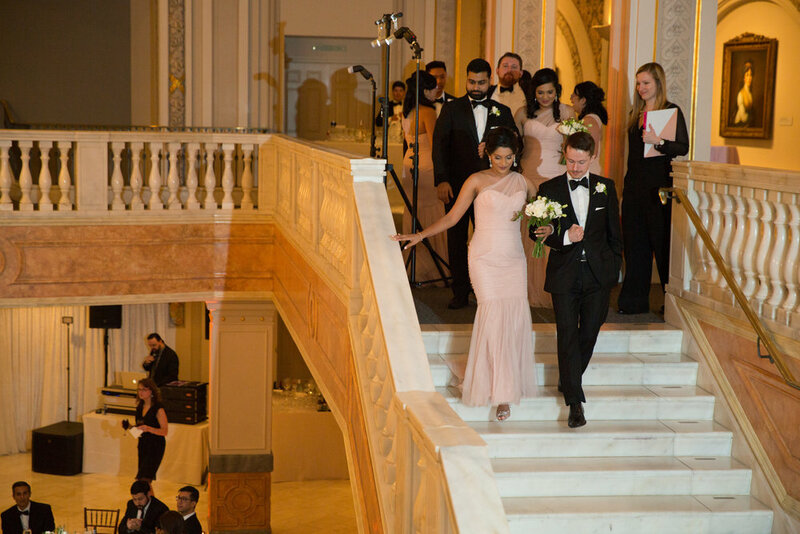 Ashley and Sascha's wedding featured mochi for dessert, their sweet Pomeranian mix dog was included in their getting ready photos, and Sascha spontaneously carried his new bride up the grand staircase right after their recessional! Just because not even all the vendors were familiar with the glory of mochi I'll try to explain it here: mochi is a Japanese dessert made of pounded sticky rice and ice cream, and is kind of like eating a ball of ice cream surrounded by a layer of marshmallow (the pounded/crushed sticky rice). The flavors included in the photo below are mango (my favorite! ), green tea, and passion fruit, and they were so refreshing and delicious! Ashley and Sascha ordered their mochi from a Hawaii-based company called Bubbies, but if you want to try it closer to home, check out the ice cream section at Trader Joe's ;) It was such a unique wedding dessert, and so delicious! One of my other favorite details of this wedding (as if you couldn't tell that the mochi was a favorite!) was Ashley's gorgeous Enzoani wedding gown. I loved the blush and champagne embroidery on her dress; it was so delicate and romantic for a February wedding right before Valentine's Day! The embroidery also balanced the long, blush bridesmaids dresses perfectly and was a romantic juxtaposition with the groomsmen's black tuxes. Lastly, (and this one is for our future grooms out there!) Sascha was excited to design a Scotch bar for his wedding reception! The bar featured four different kinds of Scotch, all aged for different amounts of time. So many times wedding planning is entirely focused on the bride, so I loved seeing a part of the wedding that was curated for our groom. It was such a fun experience to work with this truly awesome couple - they just returned from their second wedding celebration in Trinidad (where Sascha is from), and I know they will enjoy a fun and happy marriage together!